← A-Rod – Busted Again? It’s hard to believe, however it’s been almost six years since Zimbabwe were last seen in Test whites on the cricket field, after internal fighting, corruption, player revolts and ultimately a series of devastating defeats left the board with no option but to activate a self-imposed exile from international cricket’s oldest format. Those six years have been painful to say the least with 33 wins from 106 completed One Day Internationals (ODI), however when the non-Test playing nations and Bangladesh are removed, the record drops to just 5 wins from 49 completed ODI. In addition to this, just 3 wins have come from 13 completed Twenty20 Internationals (T20I) during this period, despite two being against traditional Test playing nations. There has however been the occasional cause for celebration, most notably the side’s 5-wicket victory over Australia in the 2007 World Twenty20 Championships. In addition to this, their string of three victories over India (twice) and Sri Lanka in the Tri-series of May/June 2010 also gave Zimbabwean cricket fans something to cheer about. 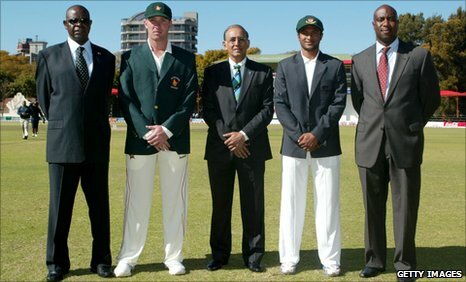 One of the most crucial elements of Zimbabwe regaining Test playing status was the introduction of a completely revamped domestic competition, which occurred in the later half of 2009 and has increased in both standard and popularity in recent years. Zimbabwe Cricket has since been praised for introducing a franchise system at domestic level, a move which has rejuvenated the sport. The improvements made in the last two years under the guidance of the minister for education, culture and sport, David Coltart (from Morgan Tsvangirai’s MDC) have been significant. It has even reached the point where the competition is now attracting international players such as Brian Lara, Lance Klusener, Lou Vincent, Chris Harris and Ian Harvey. Having a strong, and competitive domestic competition will go a long way in ensuring the national sides continues to improve. The 4th of August 2011, marked a huge moment for Zimbabwe, not just as an international cricketing nation, but as a nation itself. The state of the country, albeit still shaky at best, has greatly improved since September 2005 when India defeated Zimbabwe by 10 wickets at Harare, and the improvements seen on the cricketing front seem to mirror the improvements of the nation. In September 2005, Robert Mugabe held absolute power and control, however since an election loss and resulting protest in March 2008, he has been forced to share power with opposition leaders Morgan Tsvangirai and Arthur Mutambara. After reaching an economic low just prior to the 2008 elections, things have improved significantly and as of November 2010, the IMF described the Zimbabwean economy as, “Completing its second year of buoyant economic growth after a decade of economic decline.” Mentioning, “Strengthening policies” and “Favorable shocks” as main reasons for the economic growth. 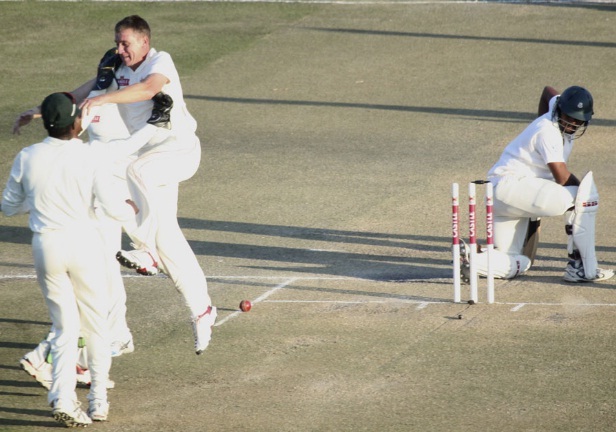 Like the country itself, the Zimbabwean cricket team has a long, long way to go, however they are on the right track and today, the number of Test-playing nations once-again increased to ten… A pleasant sight for all cricketing fans. Vusi Sibanda – Constantly in and out of the side, Sibanda gains selection after a strong series against Australia A and South Africa A. Sibanda, 27, is a veteran of 3 Tests, 87 ODI and 3 T20I and will need to produce runs if Zimbabwe are a chance of causing an upset. Tino Mawoyo – 25 years old and has played just 2 ODI for his country. A solid, if not spectacular First Class record and a reasonable series against Australia A seems to have warranted his inclusion. A fresh talent at the top of the batting line up. Hamilton Masakadza – What a story… What a return! Having scored a century on Test debut as a school boy in July 2001, Masakadza has been in and out of the side like the Hokey Pokey. Still just 27 years of age, he has amassed 15 Tests, 102 ODI and 14 T20I since that day and is crucial to Zimbabwe’s hopes. Brendan Taylor – The nation’s captain and amazingly still just 25 years of age, having burst onto the international cricketing scene in April 2004. Having since played 10 Tests, 118 ODI and 9 T20I, Taylor is without doubt the best of the Zimbabwean batsmen. Craig Ervine – Younger brother of Zimbabwe’s most talented all-rounder, Sean, Craig Ervine has played 20 ODI and 3 T20I since his debut in May last year. His record is strong and Zimbabweans will be hoping he stars on Test Match debut. Tatenda Taibu – At 28 years of age, Taibu is the second-oldest and most experienced player, having played 24 Tests, 136 ODI and 13 T20I. Taibu is a World-class gloveman and batsman who has almost 4,500 international runs and 199 dismissals. Elton Chigumbura – One of the stars of the Zimbabwean team and still just 25 years of age, despite having played 6 Tests, 128 ODI and 14 T20I. Ray Price – The real fairytale of this team, Ray Price returns to Test Cricket having made his debut in 1999, a dominant era for Zimbabwean cricket. Having played 18 Tests, 89 ODI and 9 T20I since (producing 169 wickets), Price brings experience and knowledge to the young team. Kyle Jarvis – Just 22 years of age and has played just 9 ODI for his country. Jarvis has less than impressive domestic records and seems to be a bolter in the side. Brian Vitori – Just 21 years old and making his international cricketing debut. Impressive against Australia A and South Africa A in the recent Tri-series. Christopher Mpofu – Also 25 years old and has played 6 Tests, 53 ODI and 8 T20I. A solid bowler who already has 76 international wickets. After losing the toss and being sent in to bat by Bangladesh, the Zimbabwean openers, Mawoyo and Sibanda, got off to a great start, progressing to 102 before Mawoyo slashed at a wide delivery from Rubel Hossain and was caught by the deep-cover sweeper, Mahmudullah, for a well-made 43. At lunch, Zimbabwe headed in at 1/102. Sibanda, who had already notched-up a half century, continued on after the break with Masakadza and together the pair added a further 60 runs before Sibanda nicked a wide delivery Rahim, off Hossain, and departed for a well made 78. The new captain, Taylor, joined Masakadza and the pair safely through to the Tea break at 2/191, with Masakadza on 56 and Taylor on 4. The final session of Day 1 saw Zimbabwe start positively and progress the whole way through to Stumps without losing another wicket. 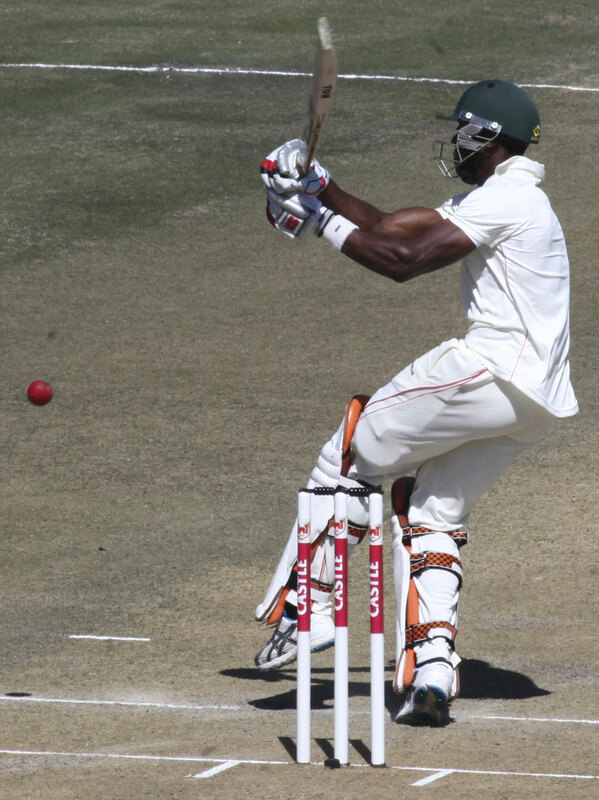 At Stumps on Day 1, the Zimbabweans had reached 2/264 with Masakadza unbeaten on 88 and Taylor unbeaten on 40. 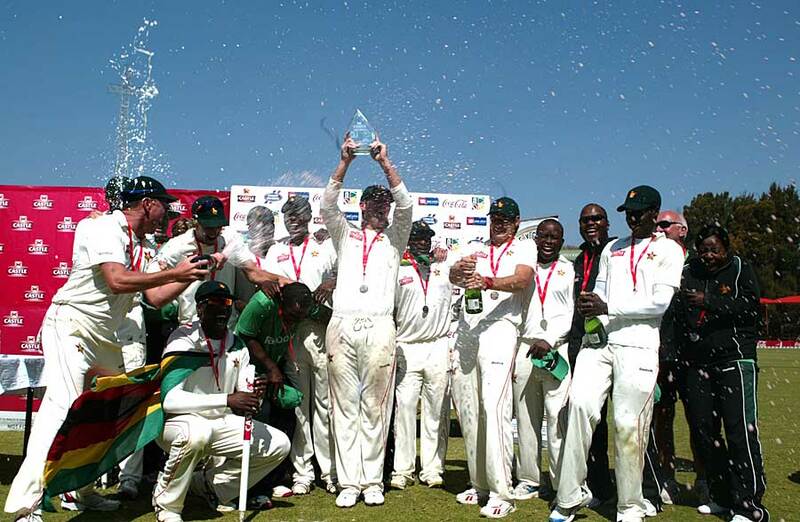 It was a solid batting display which showed intent from the young Zimbabweans and plenty of discipline and maturity. On Day 2, things started off positively once again for the Zimbaweans as Masakadza and Taylor set about reaching individual milestones. The pair took the score to 304 before Masakadza departed shortly after reaching his century, eventually finishing on 104. This triggered a collapse as Taylor (71), Ervine (6), Chigumbura (5), Price (4) and Taibu (23) all departed quickly to leave Zimbabwe at 8/352. Vitori (12), Jarvis (4*) and Mpofu (2) pushed the final score along to 370, which was still more than competitive, however they certainly missed an opportunity to pile on a 400+ score. The pick of the bowlers for Bangladesh were Al Hasan (3/62), Hossain (3/84) and Robiul Islam (2/104). When Bangladesh went in to bat, debutant Vitori quickly took the wickets of Imrul Kayes (4) and the dangerous Tamim Iqbal (15) to leave Bangladesh struggling at 2/36. A partnership followed however through Shahriar Nafees and Mohammad Ashraful, who took the score up to 102 before Nafees was bowled by Ray Price for a well-made 50, just before the close of play. 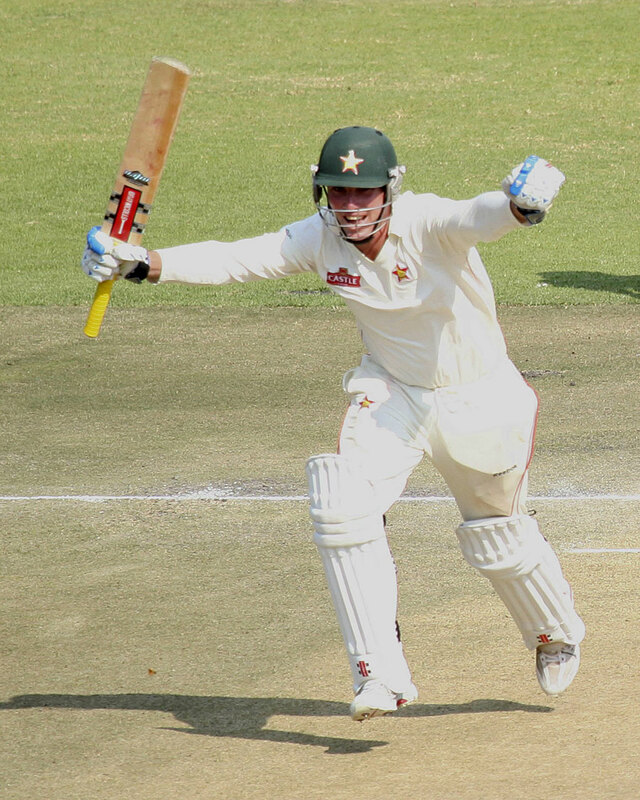 At Stumps on Day 2, Bangladesh were 3/107 and Zimbabwe were still in control. Day 3 started well for Zimbabwe when Vitori took the wicket of Mahmudullah (13) with the score on 136, however Ashraful and (73) and Al Hasan (68) counter-attacked for Bangladesh and when the score had reached 5/246, Zimbabwe had lost their advantage. The second session of Day 3 though showed the fighting spirit of the new Zimbabwean team as they put a poor first session behind them and produced a fantastic session of bowling which saw the last 5 wickets fall for just 41 runs. After all the chaos, they had dismissed Bangladesh for 287, securing a crucial 83 run lead. The best of the bowlers for the home side were the debutant Vitori (4/66), Price (2/34) and Mpofu (2/72). The final session started promisingly for Zimbabwe, as openers Mawoyo and Sibanda took the score to 69, increasing the lead to 152. The final hour of the day however saw four wickets (Sibanda 38, Mawoyo 35, Masakadza 5 and Price 4) fall for just 23 runs as Zimbabwe crashed to 4/92 at Stumps. With a lead of 175 and 6 wickets remaining, Zimbabwe still had their noses in front heading into Day 4 however the first session would be crucial in determining the result of the match. 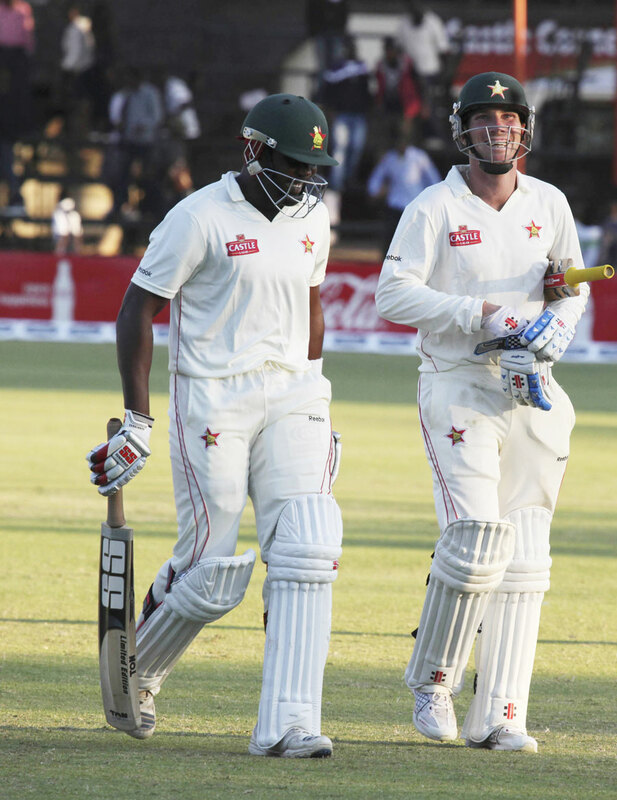 When Day 4 arrived, Taibu and Taylor, arguably Zimbabwe’s best two batsmen, set out to put the game beyond doubt, and delivered emphatically. Together, the two put on 113 runs for the 5th wicket before Taibu was caught in the deep trying to lift the run rate, for a well-made 59. Taylor continued on with Ervine and the pair took the score through to 5/291 at Tea, an overall lead of 374. Taylor had progressed on to score a maiden Test century, ending the session unbeaten on 105 whilst Ervine had contributed 35. With such a healthy lead and just four sessions remaining, Taylor, the Zimbabwean captain, declared the innings closed during the break as expected, setting Bangladesh an unlikely victory target of 375. Bangladesh came out after the Tea break and immediately set about chasing down the target through Iqbal and Kayes. Together, the pair took the score to 65 without loss before Iqbal was cleaned up by Mpofu for 43. Nafees joined Kayes and the pair added a further 22 before Jarvis found the edge of Kayes, who had made a patient 31. At 2/87 nearing Stumps, Bangladesh were at risk of ruining a good start and things got worse when Jarvis bowled Nafees for just 9 with the score on 102. Ashraful (19*) and Rahim (4*) saw Bangladesh through to Stumps however at 3/112, they had a lot of work ahead of them on Day 5. When Day 5 arrived, a spirited Zimbabwe side were sensing victory however things didn’t start according to plan as Ashraful took to the bowling, blasting his way to 39 before being bowled by Vitori. Mahmudallah (11), Al Hasan (6) and Rahim (28) quickly followed and all of a sudden, Bangladesh were reeling at 7/174. Abdur Razzak came out and blasted 43 off just 17 balls however fell to Chigumbura just before lunch as Bangladesh headed into the break at 8/228. With just two wickets required after Lunch, Zimbabwe quickly set about securing victory after the break, taking the wicket of Shafiul Islam first ball after Lunch when he was clean bowled by Jarvis for 7. Just two overs later, Robiul Islam was adjudged LBW by Umpire Dharmasena for 12, again off the bowling of Jarvis and Zimbabwe had completed a famous victory by 130 runs. Rubel Hossain was left unbeaten on 8. For the home side, Jarvis took 4/61, Mpofu 3/51, Chigumbura 2/51 and Vitori 1/56. Given the win was against a young Bangladeshi side, many cricket fans around the world would argue that the win is insignificant, however there are a few things to remember about this victory. – Zimbabwe haven’t played a Test Match for almost 6 years and to return to a competitive environment, which demands the highest levels of fitness, strength and both mental and physical endurance, is a huge challenge. A challenge which they have risen to. – Zimbabwe, as a nation, have been stuck in one of the deadliest civil wars of modern times. The country has experienced high levels of inflation, violence, corruption and poverty. Many of the nations best cricketers have left the country as a result of this and to put a competitive team on the field, which can win a Test Match, is an extremely good achievement. – The structures which developed cricketing nations have in place, ie: Australia’s Centre of Cricketing Excellence, England’s National Academy etc, are not present in Zimbabwe. The pathways don’t exist and the level of domestic cricket, albeit improving, is considerably lower than most, if not all countries. To be able to adjust to the intensity of Test Match cricket in their first attempt back, is an amazing feat. Looking ahead, the Zimbabwean’s next play a Test Match against Pakistan in Bulawayo, commencing on September 1st, before another against New Zealand in Napier, commencing on January 26th. This recent match against Bangladesh was just another small step of a long journey back for cricket in Zimbabwe, however if their moments of undeniable talent and fighting spirit are used as key performance indicators, they will grow into a much stronger, competitive side in the coming years. Much like the story of the Afghanistan cricket team [http://wp.me/pHlR4-8v], cricket has a habit of producing fairytale results and for cricket fans all around the World, this truly was one of them. Results such as these unite nations, build strength and create a sense of unity, courage and pride in a way that only sport can. For the common good of these developing countries, let’s hope we can see more of these results in the coming months. Congrats to zimbabwe beating the Bangas in Test. Struggle against the main nations but good contest between them. They beat Bangladesh?? PFFFFTTTTTTT!! Who cares? Bang are about to be tossed out of Test cricket anyway aren’t they? And Zimbabwe aren’t good enough to be re-emitted.